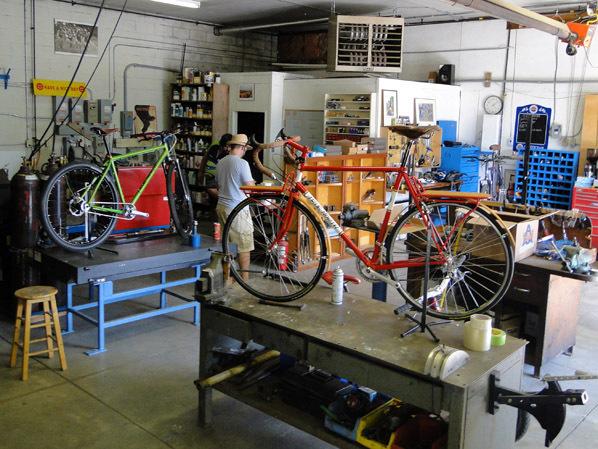 True North Cycles hosted their 20th Anniversary Open House and Party today. The shop was open for viewing. 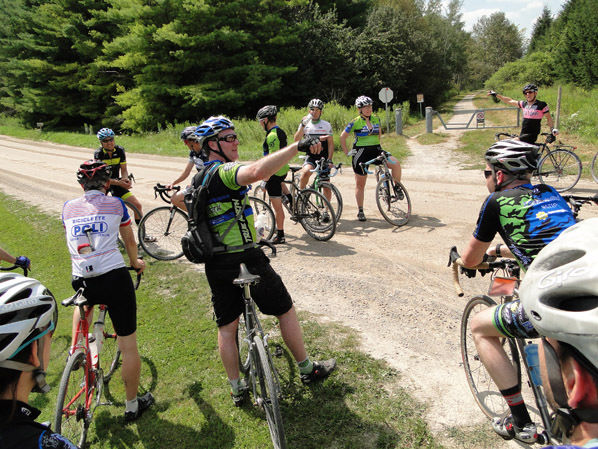 A big group headed out for a ride on the nearby Cataract Trail. 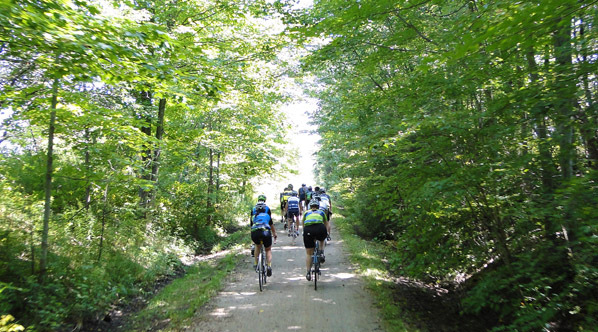 The ride was partly on the rail trail and partly on gravel roads. 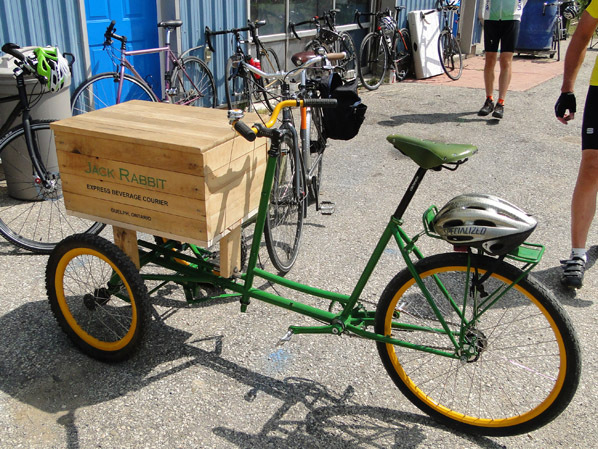 This cargo bike loaded with cold beverages was pedalled out to meet the riders on their return. Warm weather had finally returned to Southern Ontario. 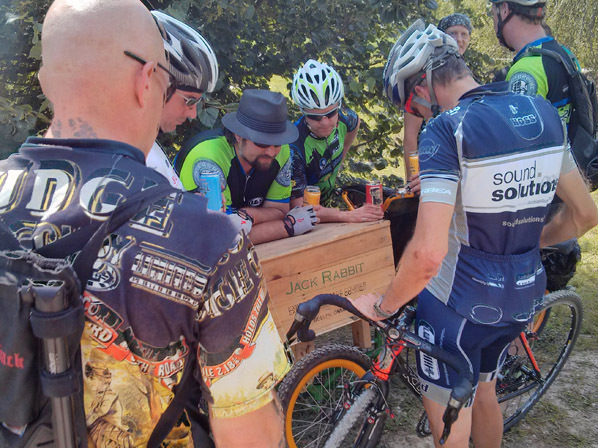 The roadside refreshments were greatly appreciated. 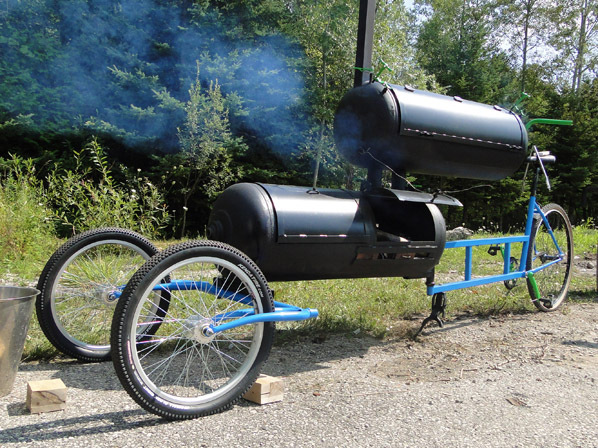 This smoker bike cooked up a delicious meal for after the ride. You are currently browsing the Bicycle Forest Blog weblog archives for August, 2013.